Put the sentences in the correct order to form a paragraph about calling 911. 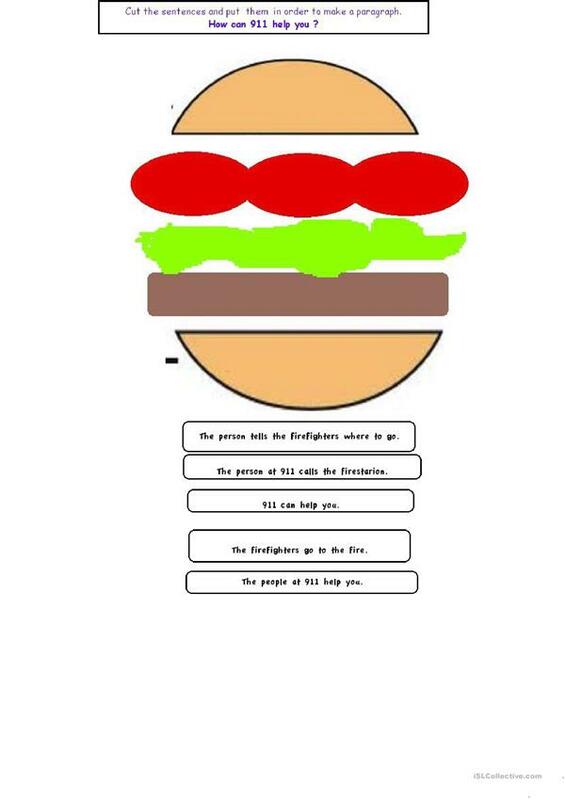 Use the sandwich organizer to help: top bun- topic sentence, lettuce, tomato, meat - details. bottom bun - closing sentence. This printable, downloadable handout is best suited for elementary school students at Elementary (A1), Pre-intermediate (A2) and Intermediate (B1) level. It is a valuable material for enhancing your learners' Reading and Writing skills.